AUSTRALIA pulled off a miraculous last-minute victory over Brazil on July 10 to qualify for the futsal finals at the Maccabiah Games and keep their hopes of a medal alive. ISRAEL Kipen, Holocaust survivor, philanthropist and Jewish day schools pioneer, has passed away at 98. 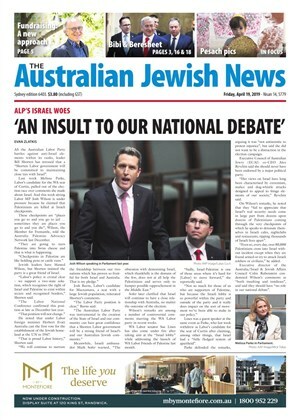 Kipen was among a small circle that founded Mount Scopus Memorial College, Australia’s first Jewish day school, in 1948. Grant Gochin has written to Lithuania's parliament protesting against published findings from the Centre for the Study of the Genocide and Resistance of Residents of Lithuania. 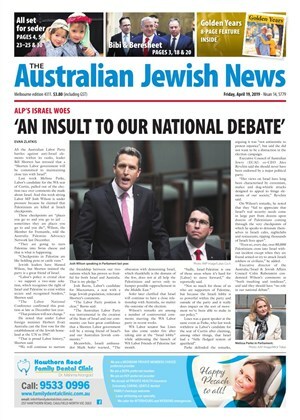 South Australian Jewish senator Stirling Griff revealed during his maiden speech in Parliament last week that his family had originated in a small village in Lithuania, where all the Jews were killed during the Holocaust.